It started snowing last Wednesday night, and kept going well into Thursday. 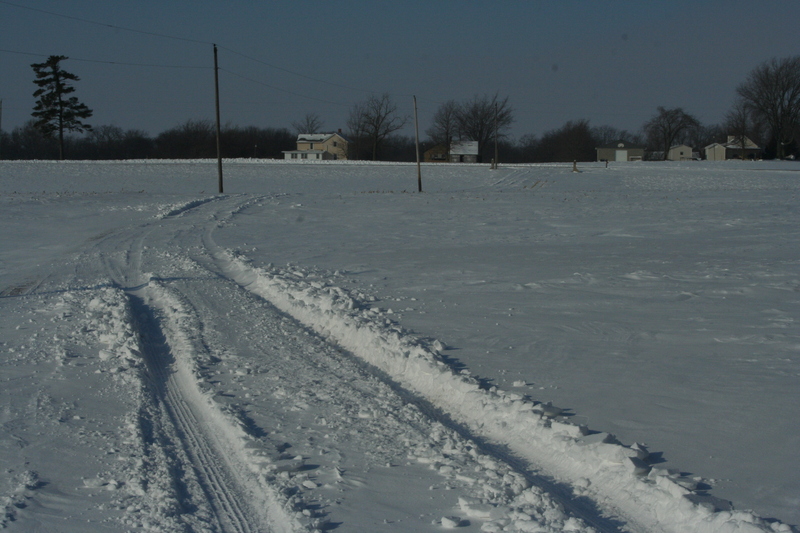 The school declared Thursday a snow day due to the volume of snow. The kids had a lovely time, sleeping in and playing video games and watching TV most of the day. I sent them outside in the morning to play, but that didn’t last long as the wind kicked up, and it was really too cold to be out. I did sneak out briefly Thursday night. My parents and I went to my brother’s house to watch my little brother flyover the BCS game on the big screen TV. As soon as Sam was done, we headed back home. I volunteered to stay in Tom’s cozy geothermal heated house, but he wasn’t as thrilled about the opportunity as I was. 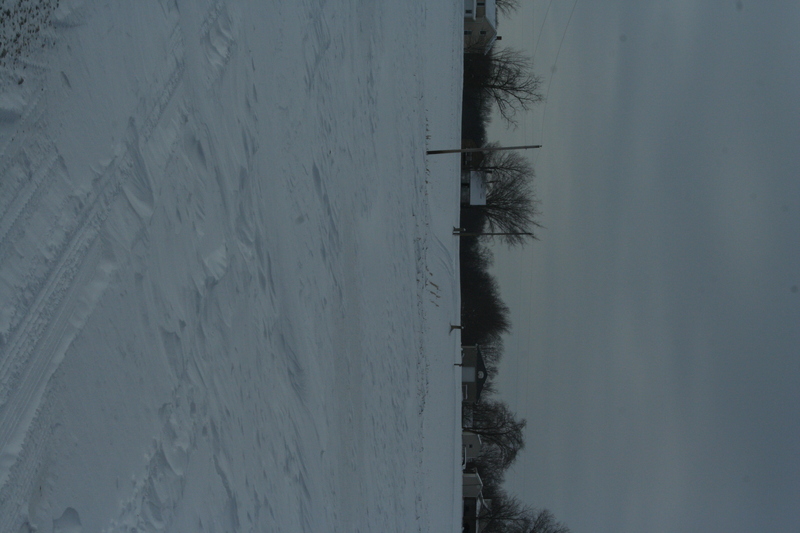 Then the school declared Friday a snow day due to the drifting and blowing snow. There was a little more bickering, fortunately the house is large enough that I can send one kid to each floor and minimize the contact. We made cinnamon bread and watched more movies and started going a little stir crazy. Saturday we got out for a bit, Thing Two had gymnastics and we drove into town for her lesson. After that though, we headed straight home and hunkered down again. Well, the kids and I hunkered down. Pete-from-New-Hampshire spent the better part of the afternoon constructing a snow coaster so the kids could go sledding. The kids were only interested if the outside could be warmed up a few degrees. Yesterday was more drifting and blowing snow and howling winds. The kids are back in school today, thank goodness. However, our little silver car won’t make it down our lane, so I’m still here. One would think with all this at home time, at least the house would be clean. However one would be quite wrong. I’m curled up next the portable heater with no intention of moving in the near future. That’s our mailbox at the end of the lane. If Publisher’s Clearinghouse has news for me, I’m not going to hear about it anytime soon.